You don’t need to analyze any data to know for yourself that Evangelina Vaccaro’s experimental stem cell therapy has cured her of a devastating, often fatal disease of the immune system. All you have to do is look at a photo or video of her to see that she’s now a happy, healthy 5-year-old with a full life ahead of her. But a casual evaluation of one patient won’t get therapies approved in the U.S. by the Food and Drug Administration (FDA). Instead, a very careful collection of quantitative data from a series of clinical trial studies is a must to prove that a treatment is safe and effective. Each study’s results also provide valuable information on how to tweak the procedures to improve each follow on clinical trial. 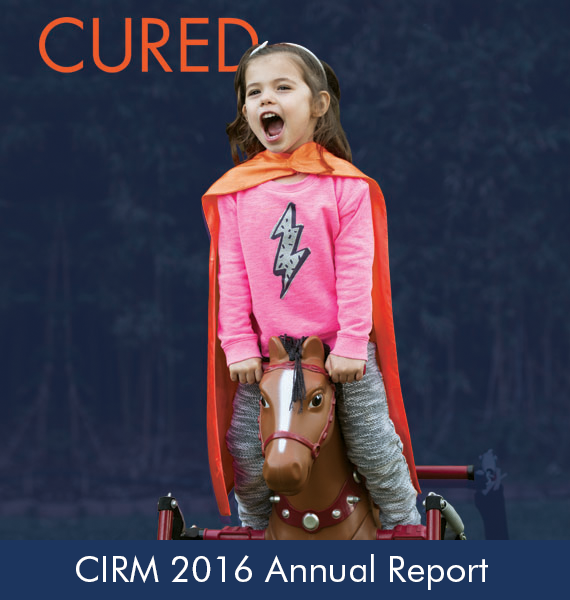 A CIRM-funded clinical trial study published this week by a UCLA research team in the Journal of Clinical Investigation did just that. Of the ten participants in the trial, nine including Evangelina were cured of adenosine deaminase-deficient severe combined immunodeficiency, or ADA-SCID, a disease that is usually fatal within the first year of life if left untreated. ADA-SCID, also referred to as bubble baby disease, is so lethal because it destroys the ability to fight off disease. Affected children have a mutation in the adenosine deaminase gene which, in early development, causes the death of cells that normally would give rise to the immune system. Without those cells, ADA-SCID babies are born without an effective immune system. Even the common cold can be fatal so they must be sheltered in clean environments with limited physical contact with family and friends and certainly no outdoor play. A few treatments exist but they have limitations. The go-to treatment is a blood stem cell transplant (also known as a bone marrow transplant) from a sibling with matched blood. The problem is that a match isn’t always available and a less than perfect match can lead to serious, life-threatening complications. Another treatment called enzyme replacement therapy (ERT) involves a twice-weekly injection of the missing adenosine deaminase enzyme. This approach is not only expensive but its effectiveness in restoring the immune system varies over a lifetime. The current study led by Don Kohn, avoids donor cells and enzyme therapy altogether by fixing the mutation in the patient’s own cells. Blood stem cells are isolated from a bone marrow sample and taken back to the lab where a functional copy of the adenosine deaminase gene is inserted into the patient’s cells. When those cells are ready, the patient is subjected to drugs – the same type that are used in cancer therapy – that kill off a portion of the patient’s faulty immune system to provide space in the bone marrow. Then the repaired blood stem cells are transplanted back into the body where they settle into the bone marrow and give rise to a healthy new immune system. The ten patients were treated between 2009 and 2012 and their health was followed up for at least four years. 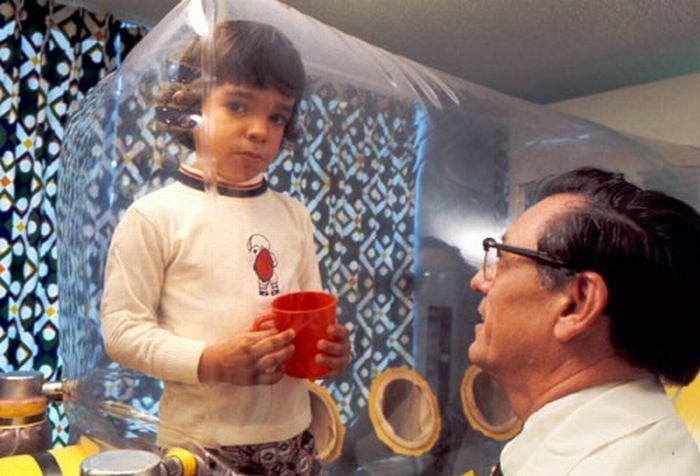 As of June 2016, nine of the patients in the trial – (all infants except for an eight-year old) – no longer need enzyme injections and have working immune systems that allow them to play outside, attend school and survive colds and other infections that inevitably get passed around the classroom. The tenth patient was fifteen years old at the time of the trial and their treatment was not effective suggesting that early intervention is important. No serious side effects were seen in any of the patients. The team’s next step is getting FDA approval to use this treatment in all children with ADA-SCID. To reach this aim, the team is carrying out another clinical trial which will test a frozen preparation of the repaired blood stem cells. Being able to freeze the therapy product buys researchers more time to do a thorough set of safety tests on the cells before transplanting them into the patient. A frozen product is also much easier to transport for treating children who live far from the laboratories that perform the gene therapy. In November of last year, CIRM’s governing Board awarded Kohn’s team $20 million to support this project. If everything goes as planned, this treatment will be the first stem cell gene therapy ever approved in the U.S. We look forward to adding many new photos next to Evangelina’s as more and more children are cured of ADA-SCID. UAB hospital for children is testing my 2 1/2 grandson for this disease. Finally, after so many test they are finding out its a form of this. We will know for sure next week then maybe they can cure him.